A sluggish or unresponsive website might be a “first world problem” — but it’s one that web users take very seriously. If your company relies on online commerce, speed and reliability are absolutely imperative — a slightly slower load time can result in customers taking their business elsewhere, never to return. This infographic looks at the different ways a slow website can burn a hole in your pocket. When an online business starts to lose money, the blame is often laid at the products being sold. While this obviously plays a large part, you should also be evaluating your website speed — the amount of abandoned shopping carts and uncompleted sales could be directly linked to this number. Speeding up your website is a great thing to do in general. Visitors to your site will be happier (and might convert more or use your site more), and a faster web will be better for all…This change highlights that there are very constructive things that can directly improve your website’s user experience. Instead of wasting time on keyword meta tags, you can focus on some very easy, straightforward, small steps that can really improve how users perceive your site. While Cutts noted at the time that initially only a small percentage of sites would see a significant change in ranking or traffic due to page speed factors, I find it likely that the emphasis will increase over time. Google doesn’t like to make sudden changes in its search results that dramatically affect normal, non-spammy websites. Having given webmasters fair notice, though, it’s reasonable to expect them to phase in greater emphasis until they feel that most of their top results deliver a high level of performance. Let the Network Carry the Load – If your site is extremely popular but you’re still having trouble getting your page load down to size, consider a Content Delivery Network (CDN). Content Delivery Networks work by serving pages depending on where the user is located. Faster access to a server near their geographical area means they get the site to load sooner.. Choose Correct Hosting Provider – If you believe that you have followed above procedures but your site still working slowly, it might be caused by your server. 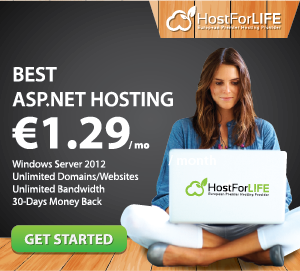 You need to make sure to select reputable web hosting provider for your business.